What is Security Token Offering or STO? Fueled by the cryptocurrency boom, the Security Token Offering, or STO, works like an ICO but is backed by a tangible and tradable asset, usually a company’s stock. The ICO Law Group has a team of experienced STO lawyers that can help your company navigate this new space. What is an STO (Security Token Offerings)? A security token offering is any blockchain-supported representation of an asset. By tokenization, a security token offering divides a very expensive or complex property into equitable pieces. This gives companies wider access to funds and enables investors a more approachable entry into the market. For an investor, security token offerings present a big advantage over ICOs and STOs for their compliance to legal regulation. STOs are regulated by the SEC, enhancing the transparency of the offering. In this way, STOs operate much like a traditional IPO, where real collateral is represented by the token. This protects investors in situations like bankruptcy or fraud. While ICOs and STOs are subjected to less regulatory oversight, there is very little difference between an ICO and an STO in practice. As experienced STO attorneys, we will work with you to determine which strategy you should use for your particular project. Does My Company Need an STO Lawyer? If you are considering an STO, then we recommend working with an STO attorney as soon as possible. At The ICO Law Group, we remain at the leading edge of the blockchain and crypto exchange environment to provide our clients with the very best support for their STOs. Contact us today for a free consultation. Second to regulatory compliance, your STO white paper is extremely important in detailing your campaign’s legitimacy and transparency. The STO white paper describes what your campaign is trying to solve, including an overview of the market, risks, and the use of invested funds. This level of detail must be organized in a logical way that is easily read by the general public. Providing an informative outlook with clarity builds trust with potential investors. Additionally, presenting a forward-looking plan that clearly defines the goals of the project emphasizes your due diligence. You may have been approached by freelance writers to assist with your STO white paper. The complexity of an STO requires assistance from an STO law group that understands not only how the STO white paper should be written, but how it should be worded to mitigate risk and promote fundraising success. At the ICO Law Group, our team of experienced STO lawyers and STO litigation attorneys have specialized knowledge in crafting STO white papers that are easily understood by the general public, while protecting the intellectual property of your project. 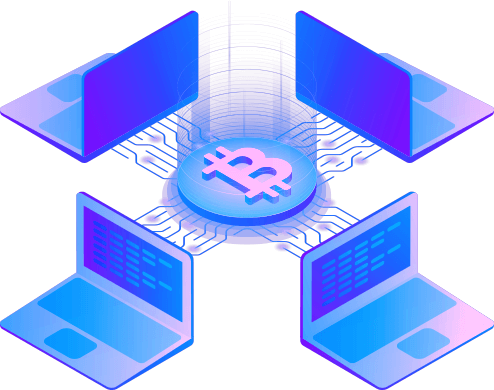 We are knowledgeable and experienced STO attorneys and STO lawyers providing services to business that are already engaged in or looking to enter the growing cryptocurrency space. We offer a variety of services to help you every step of the way. Our STO legal advice can provide insight into your ICO or STO. At ICO Law Group, we are an STO law group that has experienced STO lawyers that understand the numerous hurdles and common pitfalls ICOs and STOs face.